Most people look at a property or a piece of land and see what is, not what could be. As I reported in my last blog post, property sales are heating up along the Hamakua Coast (my listing of a Puueo farmhouse sold in just 10 days!) Many Hawaii homebuyers are looking for East Hawaii properties that are move-in ready with finished landscaping. But for those with vision and patience, incredible opportunities abound to purchase Hamakua Coast oceanfront lots to build your dream home. 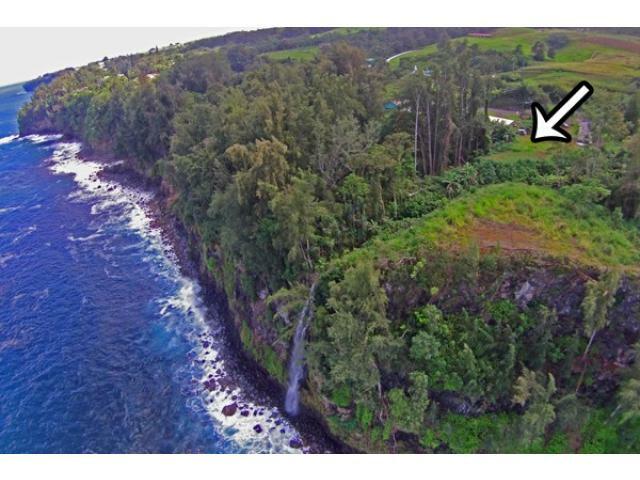 Case in point is this exceptional 2.5-acre Ninole oceanfront lot that features two waterfalls. Kooheiki Stream drops dramatically to the ocean at the north end and Waikolu Stream enters at the ocean at the south end. While the Hamakua Coast is known for its waterfalls and lush tropical landscaping, it is truly unusual to have waterfalls bookend an oceanfront property! 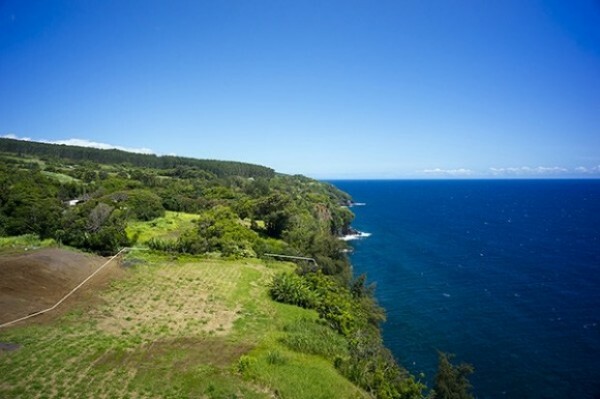 This property has exceptional views of the Hamakua Coast. Offering 765 feet of uninterrupted oceanfront, the views are absolutely breathtaking. Properties with this much uninterrupted oceanfront footage are not common along Hamakua! In the wintertime it is absolutely enchanting to relax with a cup of coffee and watch whales swim by and ships sail along the coast. Watch the reflection of the clouds dance upon the waves as the ocean changes various shades of blue throughout the day. There are so many possibilities with this property. It’s truly an incredible opportunity to build the house of your dreams, perfectly suited to meet your unique needs and requirements. Build a large two-story manse, or a cozy one-story retirement retreat. In addition to building your dream home, there’s plenty of room to build a separate office, artist space, or workshop overlooking either waterfall. There are already several banana trees on site and the rich Hamakua Coast soil is excellent for growing a variety of fruit trees, flowers, coffee, tea, and nuts. Another wonderful opportunity in Ninole is this near oceanfront 0.5-acre lot (MLS# 268088). Adjoining Pahoa Stream, the north side of this property runs to the middle of the stream. Fall asleep to the gentle sounds of the water as it flows to the Pacific Ocean. Nestled along the Hamakua Coast, homebuyers seek out Ninole because it offers a relaxed lifestyle and small town charm (the smallest post office in the country is just down the road), yet is a quick 20-minute drive into Hilo, the second largest town in Hawaii, with plenty of dining, entertainment, and shopping. Cultural activities abound in the Ninole area with an annual music festival in Laupahoehoe, Western Week in Honokaa, and several art galleries in Waimea. You can learn why it’s a sought-after area to live and the benefits of living in Ninole in my blog. 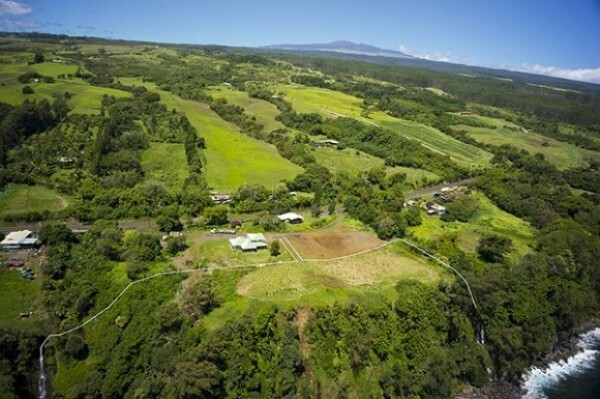 If you’d like more information on either one of these Ninole properties or other Hamakua properties for sale, give me a call today at (808) 937-7246, or email me BeverlyMolfino@ElitePacific.com.